I live near, but not in, a mid-size midwestern town that prides itself on its sophistication. It boasts an arts center, a small museum, and a historical center. In recent years they have gained a minor league baseball team and a beautiful ice arena, but no hockey team. Its sidewalks are the color of homogenized milk. At least the people walking them. Churches outnumber bars in a ratio that reassures the moral majority, who are elected into every office on a ballot. Because I live near there, but not there, I have what I consider to be a clearer sight. This sight was sharply focused last night. 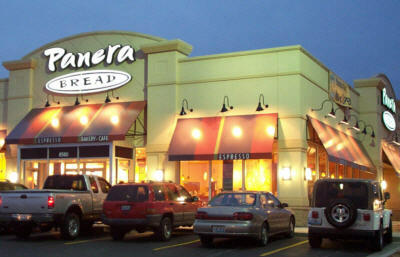 The occasion: the opening night of the newest “restaurant” in town: Panera. Our town has a love affair with franchises. The residents flock to each new franchise like cats to a bunch of catnip. Independent restaurants beware. The parking lot was full, but I wanted to see what breads would be on offer and we happened to be in town at dinner time, so we would get some sandwiches or salads. My husband had never been to a Panera. Spoiler alert: He says he will probably never return. Ordering was a comedy of errors as they were running out of bread as we spoke, taking loaves from the display, which meant no bread to take home and sandwiches with creative combinations. Neither the diminishing bread stocks nor the long wait for simple sandwiches and salads made the evening comic. It was our own table conversation and that of our neighbors. Just before going to dinner our oldest daughter had laid on us the fact that she had used a chunk of her graduation gift money to pay for modeling classes from a company that came in from California. Over dinner she revealed that she might not be starting college in the fall depending on where this modeling thing goes. If only they served cocktails. In my left ear was my family. In my right ear was the couple next to us. 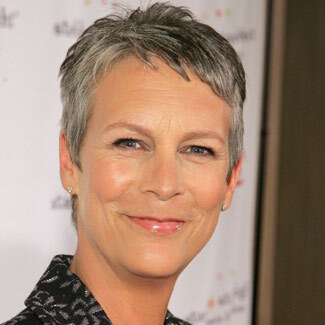 She was a typical-looking midwestern hausfrau. He was either a hippie leftover or a middle-aged rock star wannabe. As we waited for our food, he regaled his wife with their newest venture: music classes. I’ll give her credit. She patiently listened to his vision. I lost the thread for a few minutes while I dealt with the potential delay of college bomb that came with my salad, and when I next tuned in to my neighbors, he was ranting about IHOP’s evil plot to drag him to IHOP university and make him middle management. Then they moved to enthusing about the new Olive Garden going in next door in the building abandoned by a locally owned restaurant. How did I keep my Diet Coke in my mouth and not shoot it out my nose? Sometimes the variety of humanity is just not various enough. This is the heartland, folks, where slightly overweight pasty white people live lives of quiet desperation with the fear that they will go the grave never having sung their song (sorry Thoreau). And my salad was over peppered. Maybe today they’ll have the rye bread in loaves. One can dream. Just keep it small. Only the fields are big.